in full panorama spreads format or side-by-side. 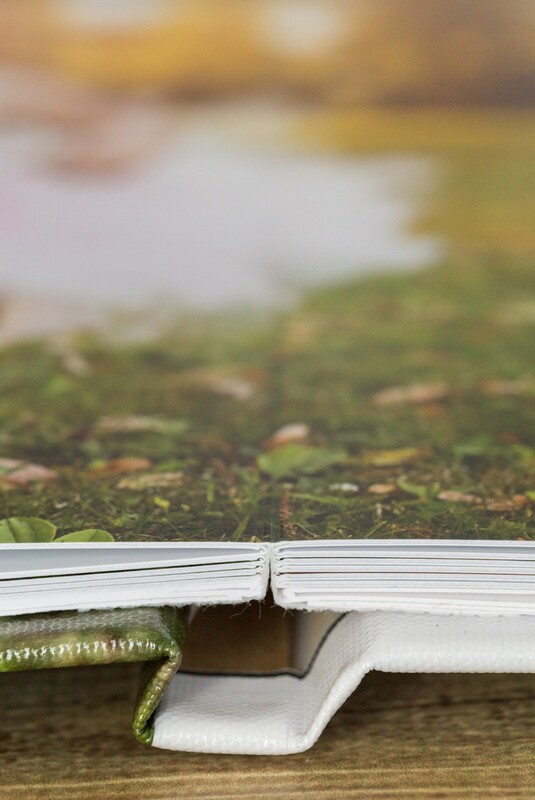 flexibility so you can open the book wide for panorama viewing. With the purchase of an album, you will receive 50% discount to full resolution digital files you would like to keep. Handmade using a variety of fine leathers featuring a variety of textured, embossed and distressed finishes. The spine is reinforced with a fresh cut solid wood plank. Images are mounted on solid PET boards. 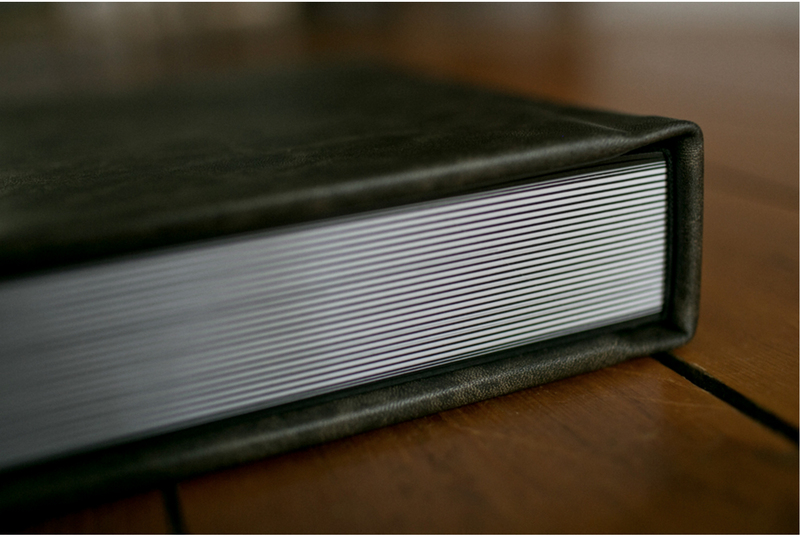 Grand Luxury Glip Album looks and feels expensive because it is handmade using fine cover, spine and binding materials which creates a plush feel to the hand. The materials produce a sturdy weighted feel. Available in 20×8. Opens vertically to a grand 20×16 view. Pictured above; Two-Leather Option: White Chyna Embossed leather on cover & back, 50-Shades of Gray distressed leather on spine, an 8×3 cameo image cutout 60 Images. 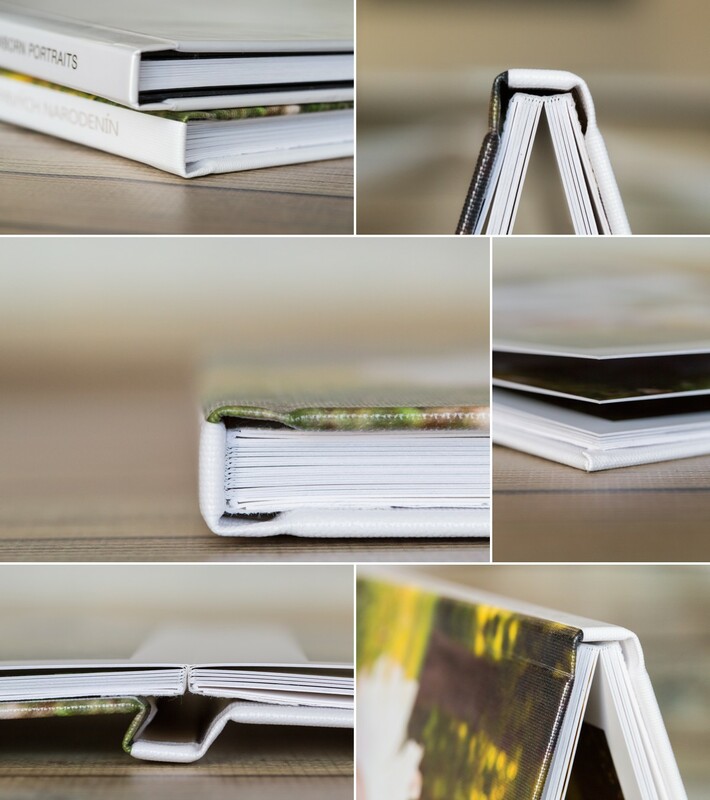 The Panorama Grand shares the look & feel of the Grand Flip Luxury Album using the same build process and quality of materials. The Panorama Grand is 18×12 closed. When opened, it expands from 18-inches to 36″ wide be 12″ tall (3-to-1 ratio). Single leather or 2-Leathers cover options (cutout image cover available with this option) Canvas image cover.